* CXC is a 501(c)(3) non-profit corporation and gratefully accepts tax deductible donations for program enhancement. 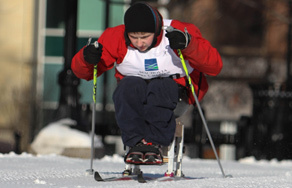 Your donation helps support our programs at all levels, from first introduction to the sport to Olympic and Paralympic hopefuls! You can make a one-time gift or select to become a sustainer with an ongoing monthly donation. 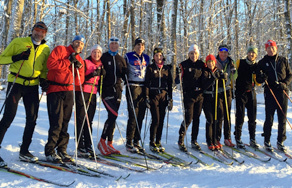 CXC has long been guided by a vision of providing opportunity to experience cross country skiing to everyone and assist every cross country skier regardless of age, gender and ability to reach their goals. We have created an organization that provides grassroots programs for children as well as the finest opportunity for athletes to realize their Olympic and Paralympic dreams and succeed in life after athletics. 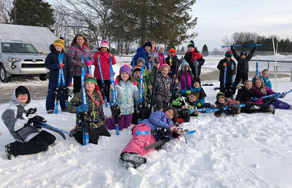 - The cost of equipment provided to one school is around $3,500. It includes 25-35 pairs of entry level skis and step-in bindings. - We want to offer scholarships to fund equipment, training and cover travel for the athletes who come from families who cannot afford these costs. - Part of the original plan for the CXC Training Center is to provide quality student housing for our athletes - something our athletes desperately need if we are to take the next step to meet the challenges of the future. Big dreams inspire us. Achieving them changes our lives. You have the ability to make these dreams come true. Share our vision and help fund the sports' future. Become part of the 'The Team behind The Team' that exemplifies the spirit and leadership. With Members as far as New England, Washington DC, Park City, UT, and nearby in the Midwest, we are growing a support network of great people. Find more information here. Let CXC help you and your financial advisors develop a gift plan that meets your financial and philanthropic goals. You may realize immediate tax savings as well! A properly planned gift may help you reduce or eliminate capital gains, gift, and estate taxes. You may realize immediate tax savings as well. 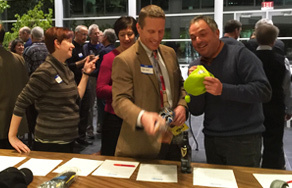 CXC hosts a variety of fundraising events during the year from formal diner to on-line drives. Show your support through participation at the Special Event.